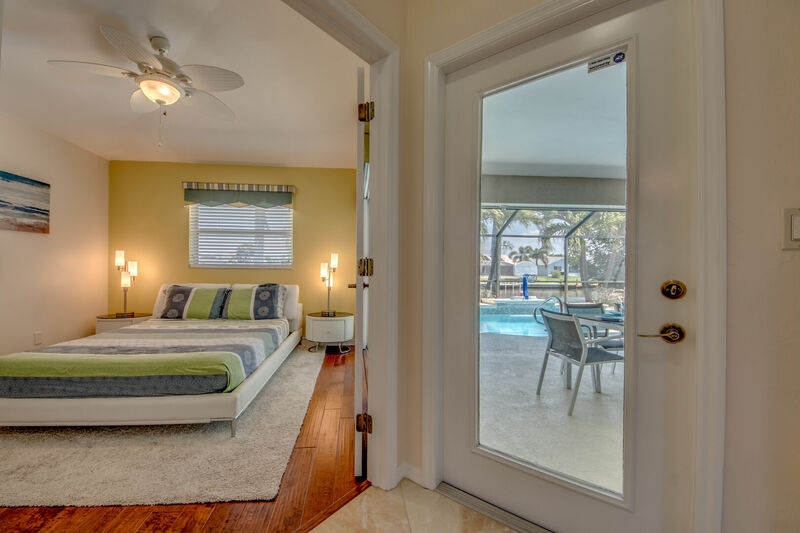 Welcome to our spectacular Villa Camelot! This modern villa with its sophisticated interior and contemporary appliances will, make you feel like you are in a modern-day fairytale. 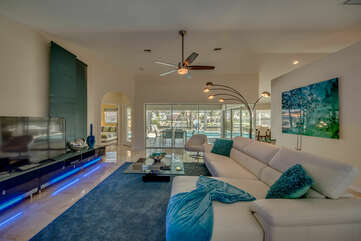 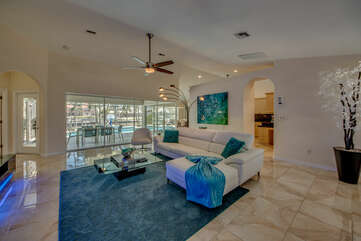 Entering through the double doors you will fall in love with the large decorated living area. 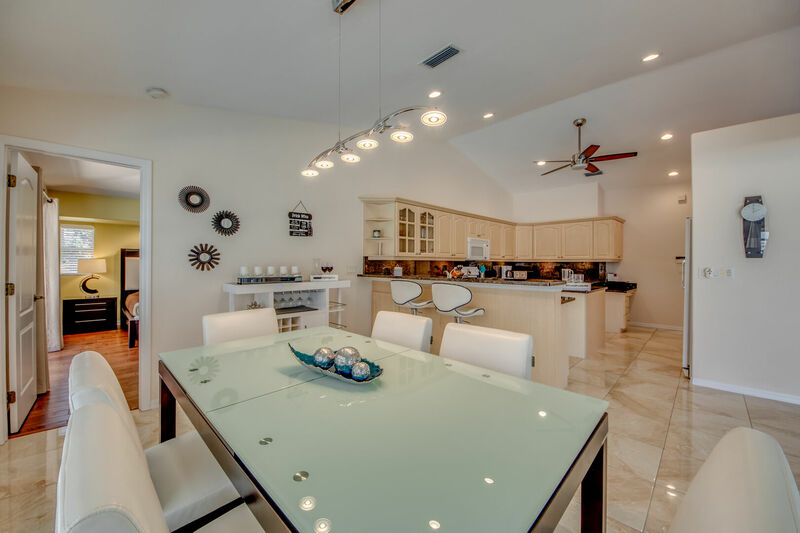 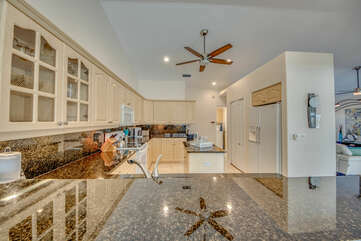 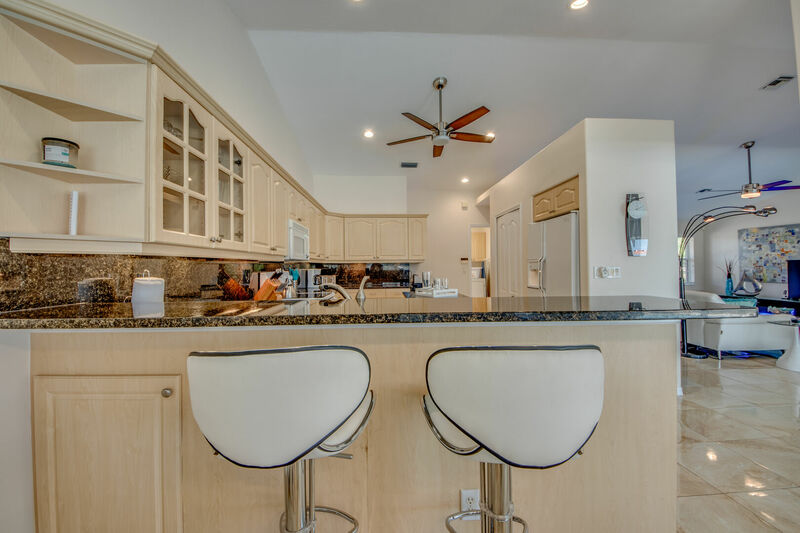 This 3 Bedroom – 2 Bathroom villa boasts over 1700sqft of vaulted ceilings and huge sliding glass doors. Giving you and your guests the light, airy and open feeling everyone wants while on vacation. Relax and enjoy streaming a movie in the large living room or if you choose use any of your devises with the free WiFi throughout the home. 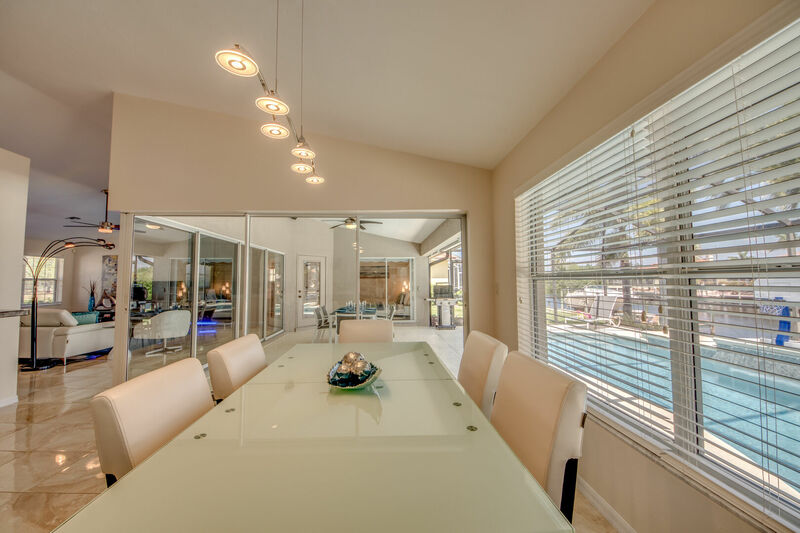 Whether you are trying to disconnect and be more family oriented, or just looking to relax and enjoy your quiet family time, you could not imagine anything better for your well-deserved vacation. 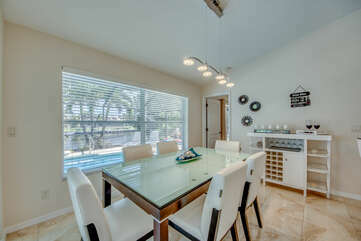 Do you enjoy making your own savory dishes? 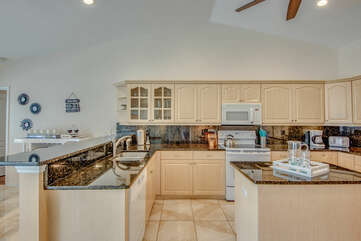 The kitchen is well stocked with all the appliances you might need to create your own culinary masterpieces. With granite counter tops, accent lighting and plenty of storage, you can experiment with flavors and tantalize your own taste buds to your hearts content. 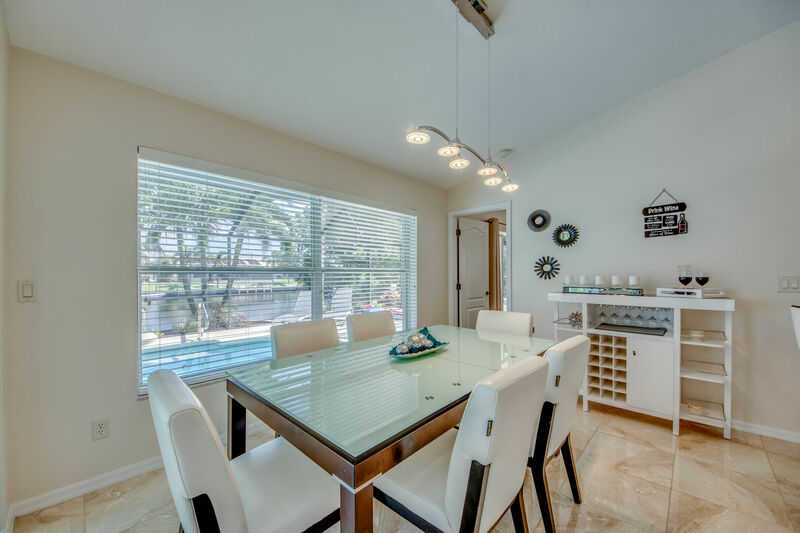 The open floor plan to the dining area allows you to interact with family and friends while you explore the delight of cooking. The view from the inside of this villa is absolutely stunning. 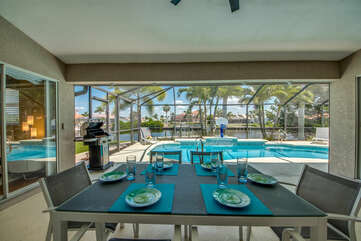 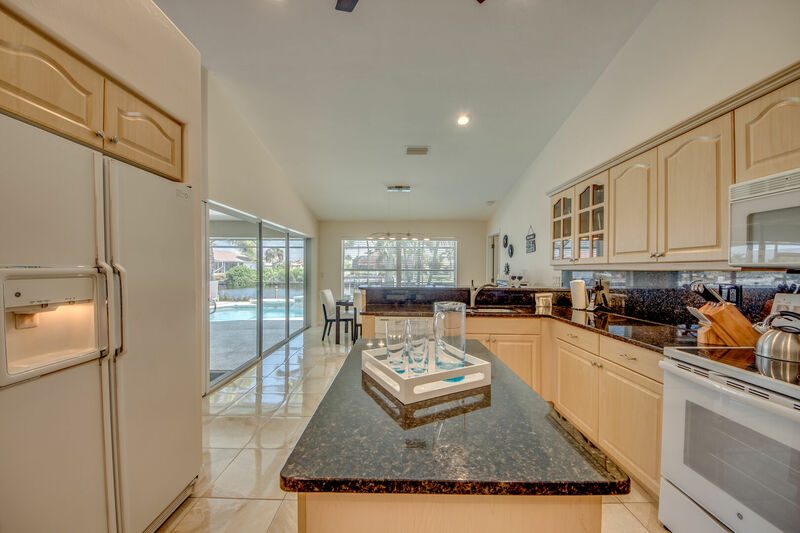 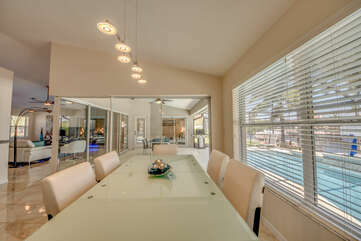 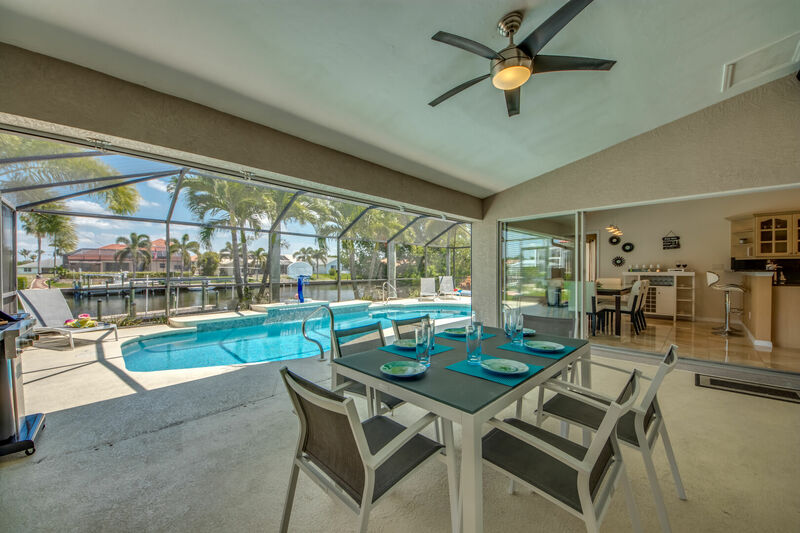 The 90 degree sliding glass doors, bring the outside lanai and heated pool into you. 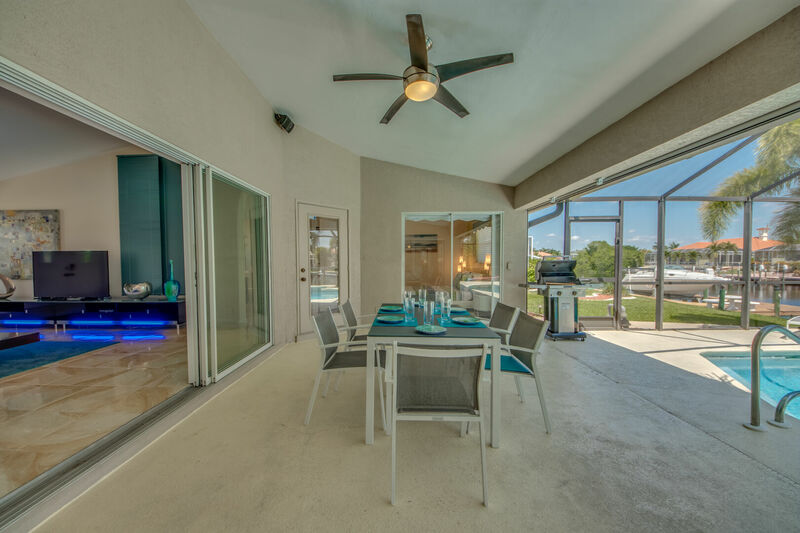 Enjoy grilling poolside so you can dine alfresco. Relish a hot morning coffee watching the sun rise, breathing new life into our gorgeous sunshine state. 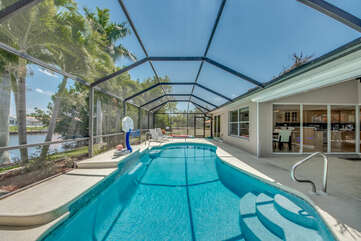 Sunbath pool side and enjoy soaking up the rays. 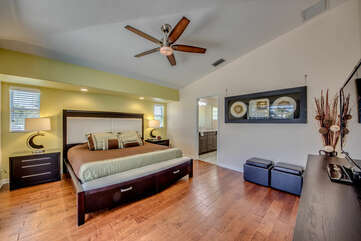 The updated master bedroom with king size bed and updated on suit will have you in the lap of luxury. 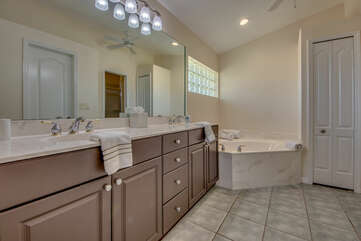 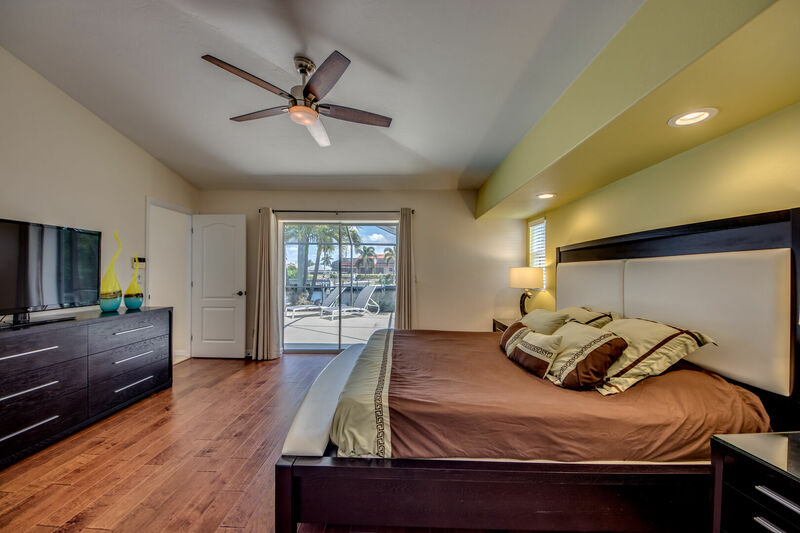 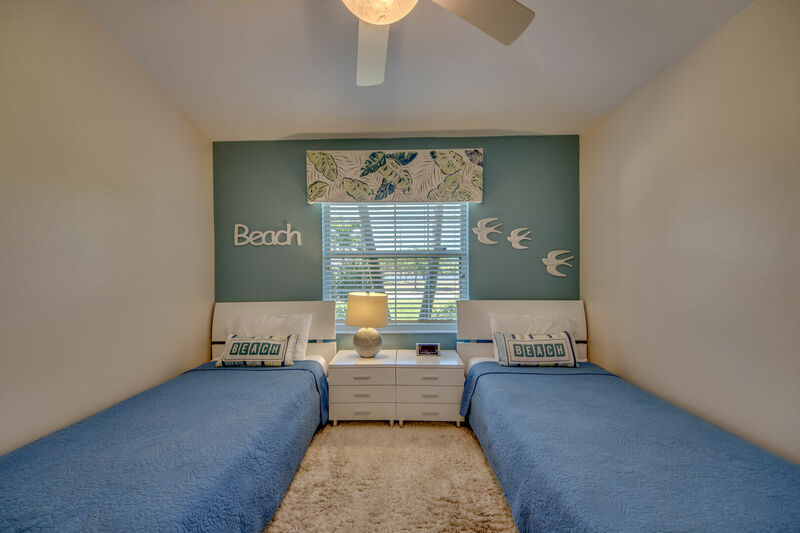 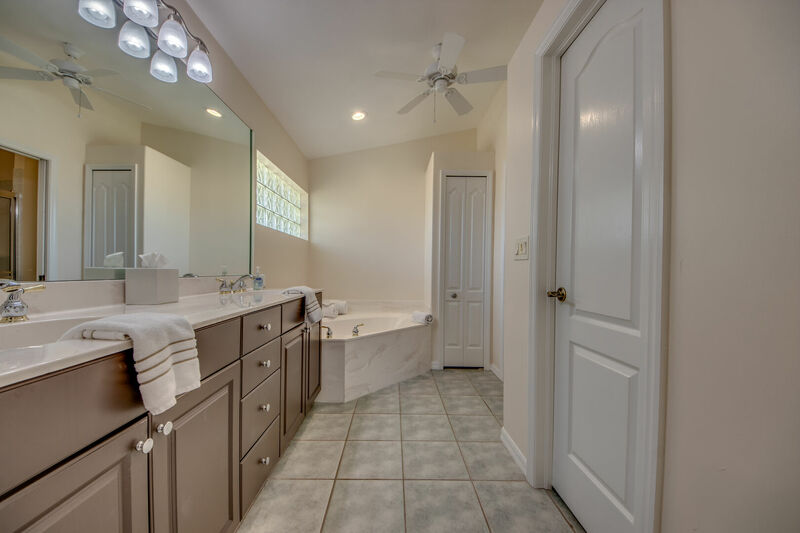 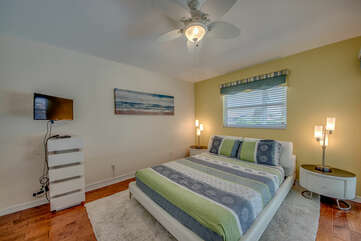 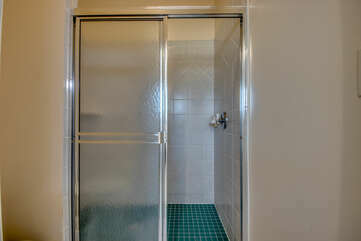 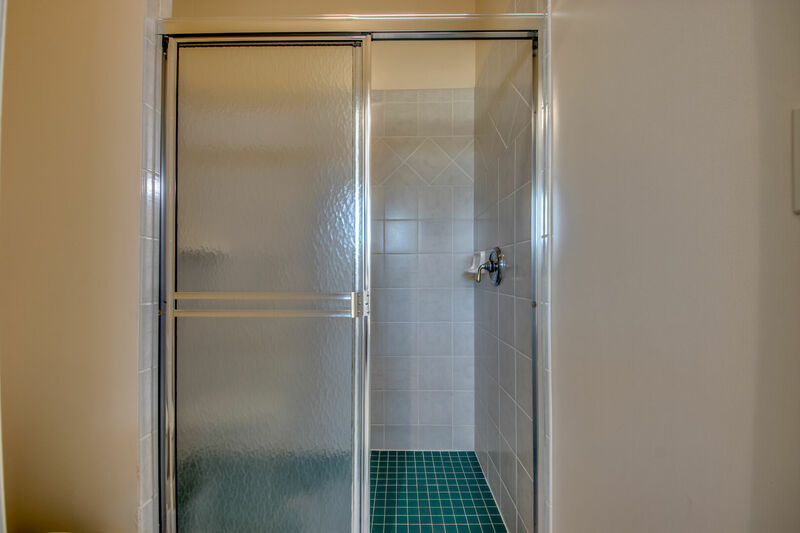 Both the master bathroom and first guest room have direct access to the outside lanai and pool. 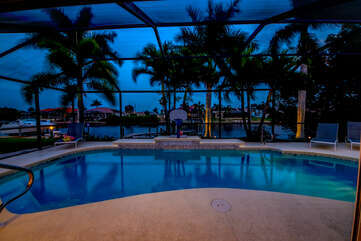 Just image waking up in the morning and looking out the sliding glass doors to your own personal tropical fairytale. The first guest room is spacious and bright, providing you will a beautiful view and comfy queen size bed. 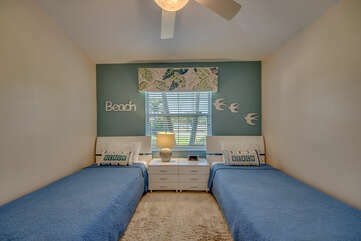 The second guest space is just as generous with two twin size beds. 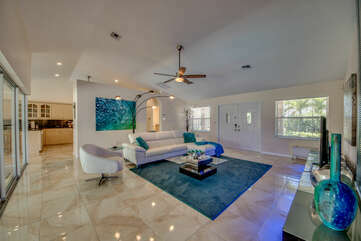 If you have not completely fallen for this villa yet, there is more. Love to fish? 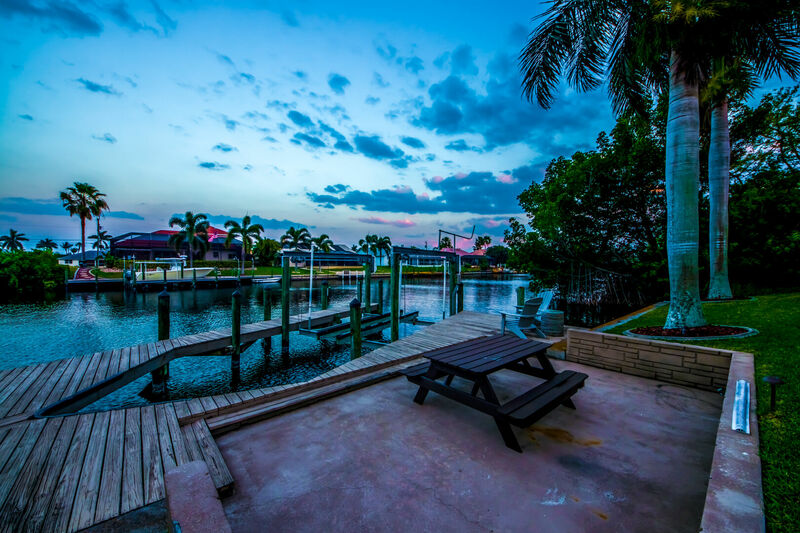 This villa has a beautiful dock right outside. 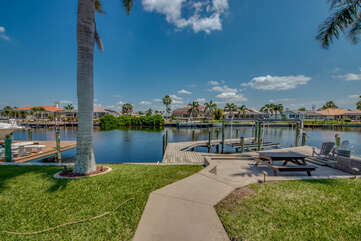 Cast a line into the 150-foot, gulf access canal located right in your backyard. 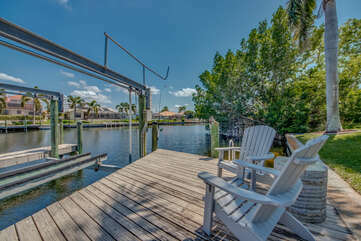 Or enjoy the fully operational boat lift, perfect for any boat adventurer. Looking for more? 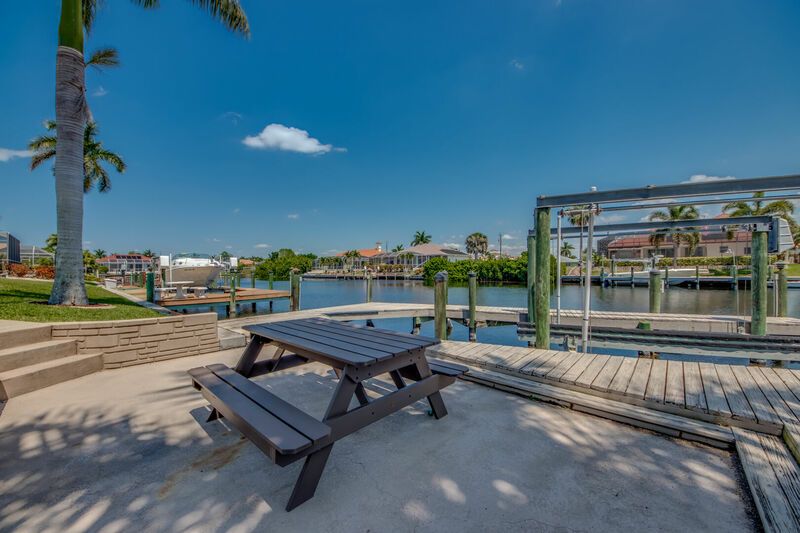 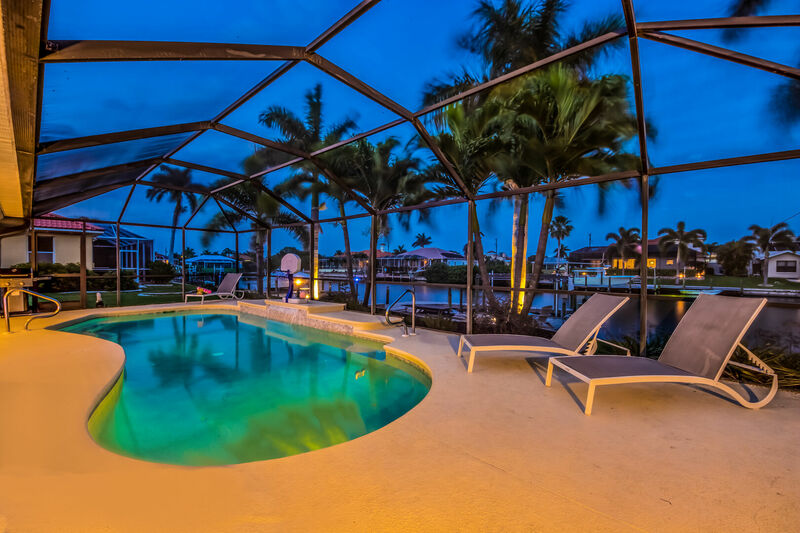 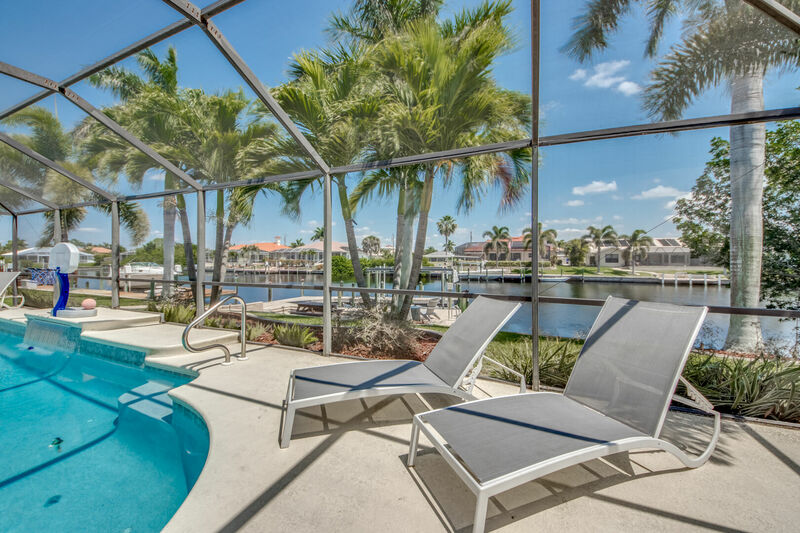 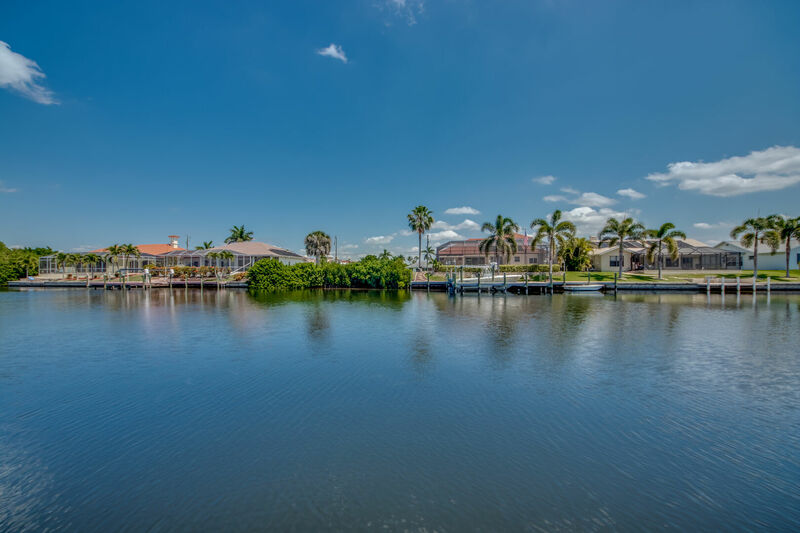 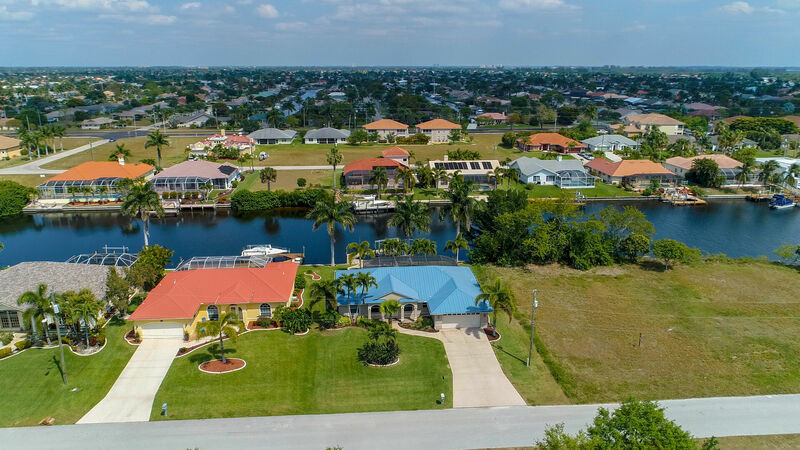 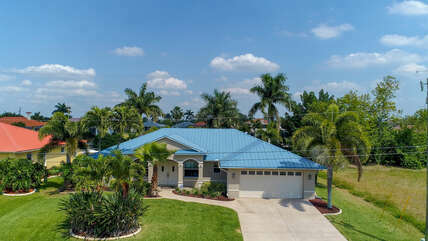 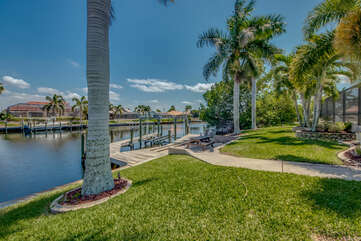 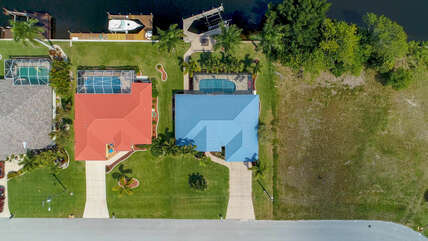 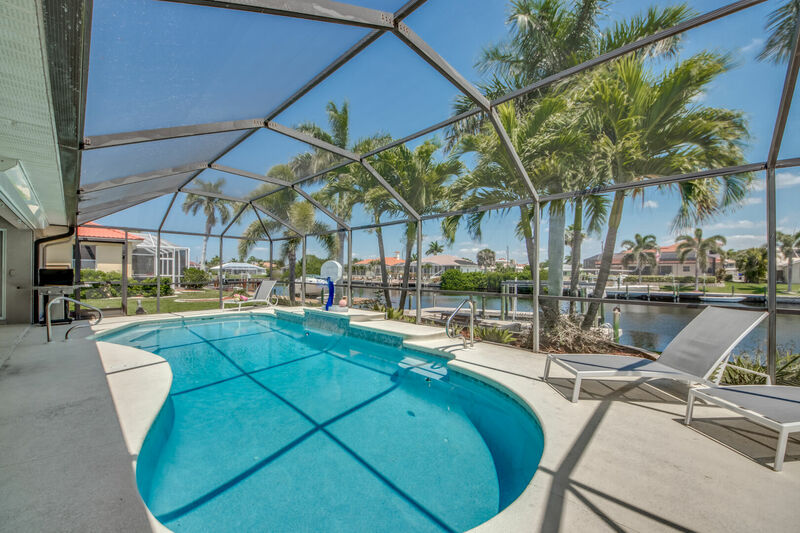 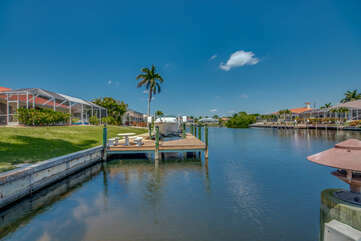 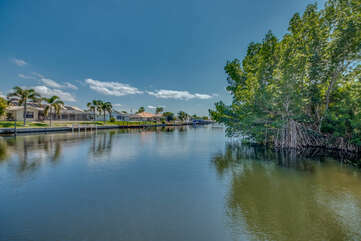 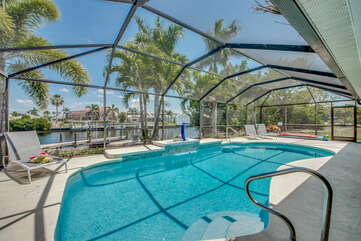 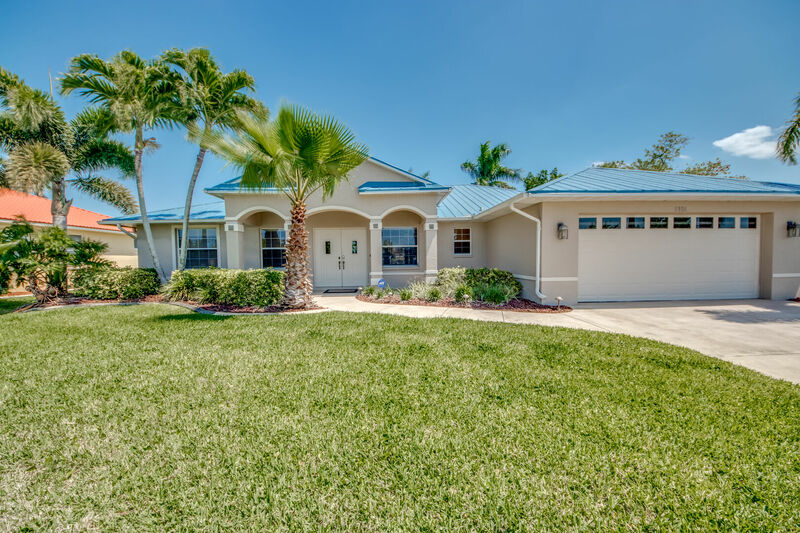 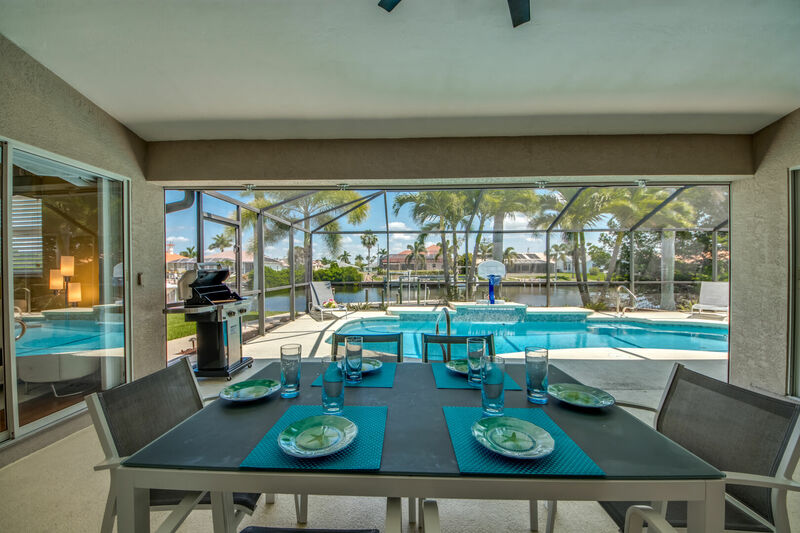 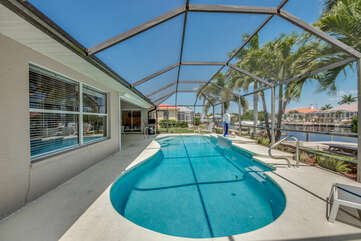 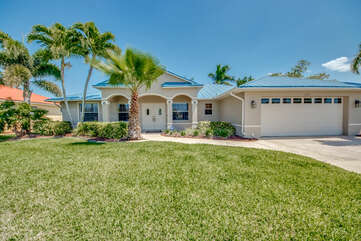 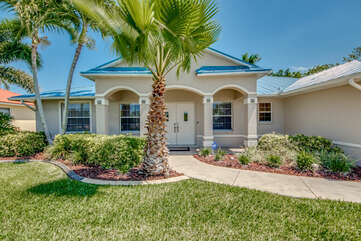 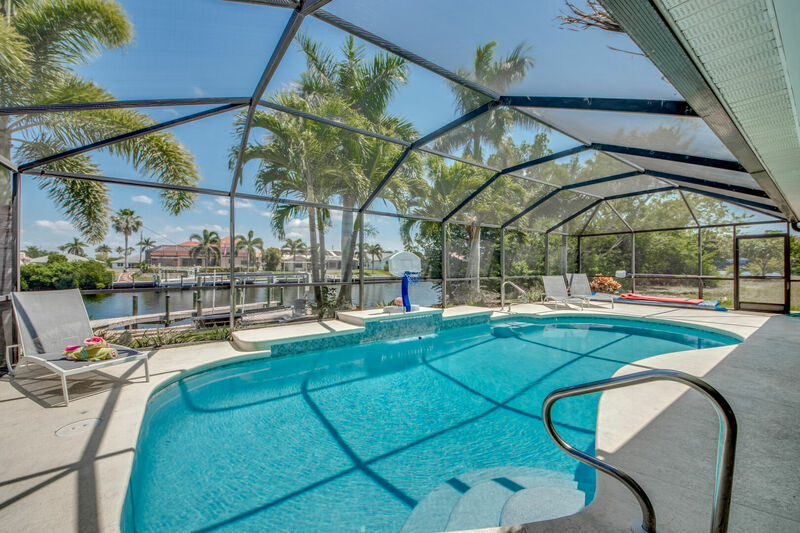 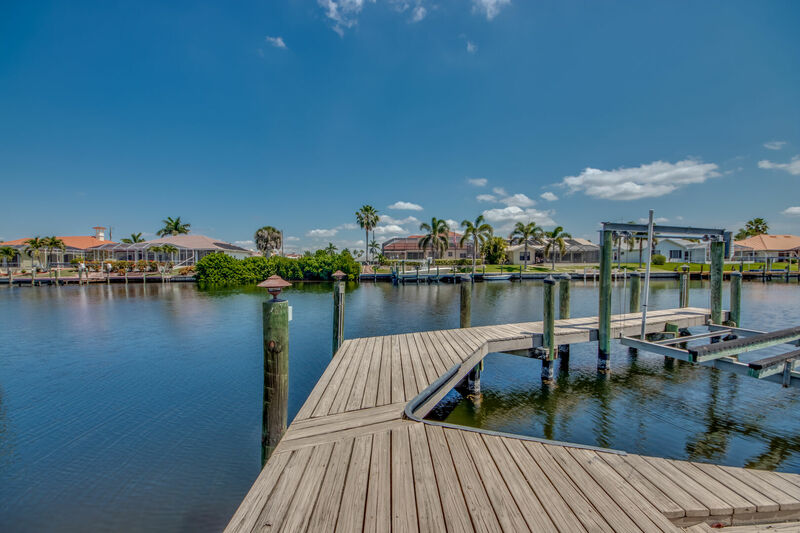 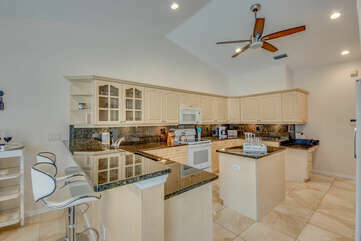 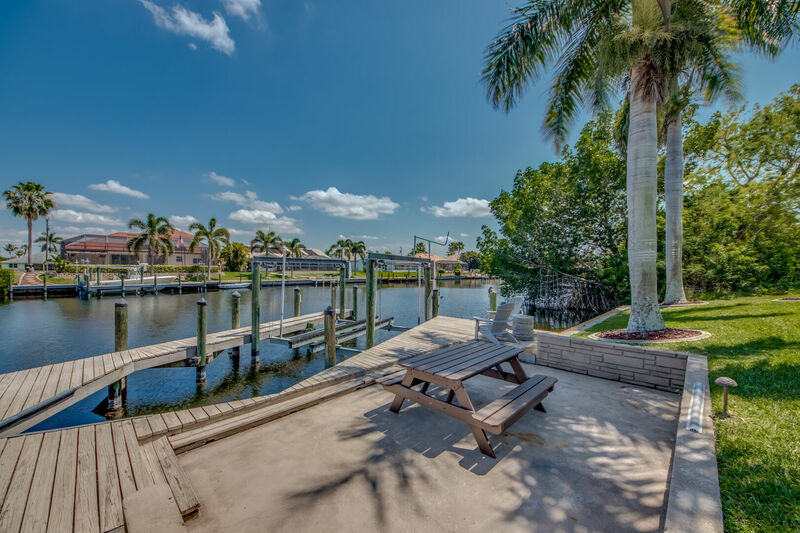 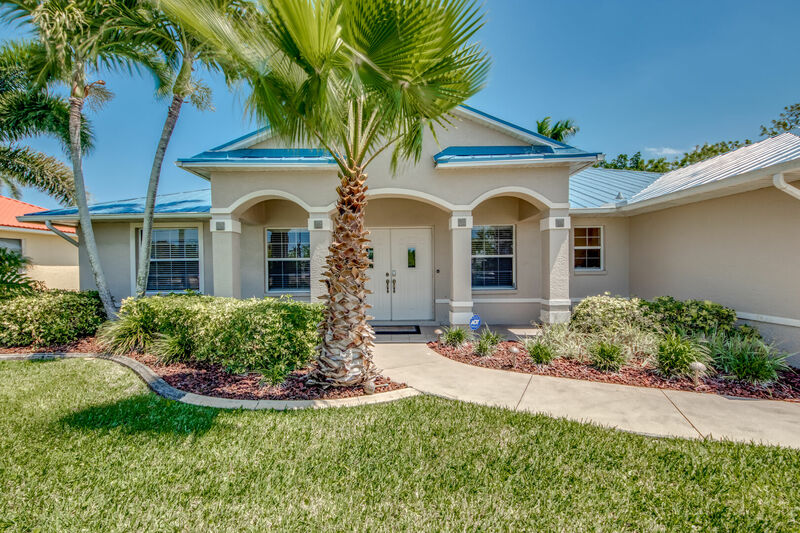 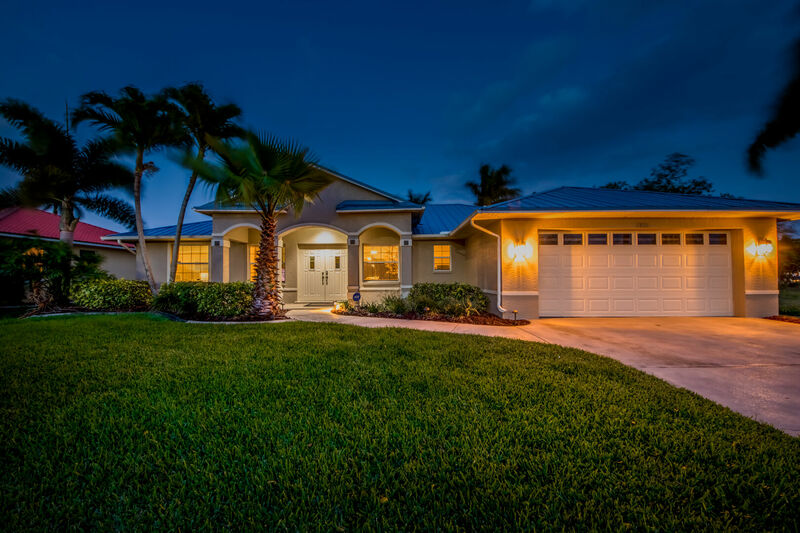 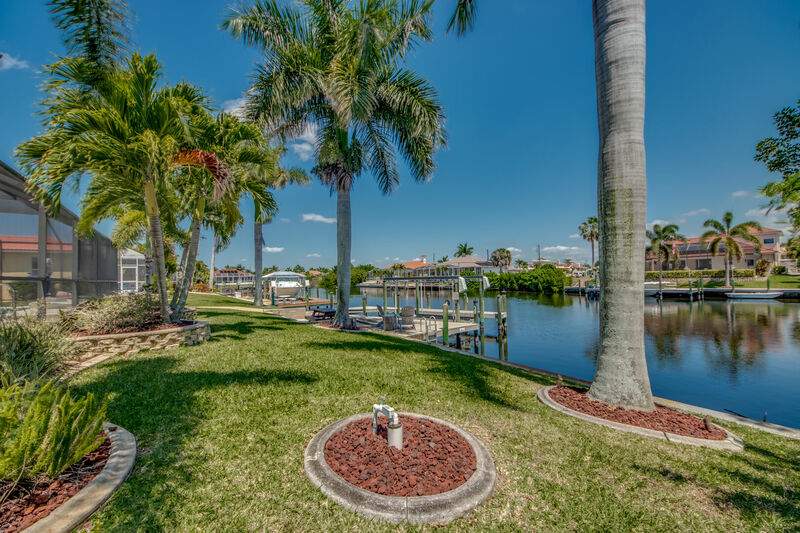 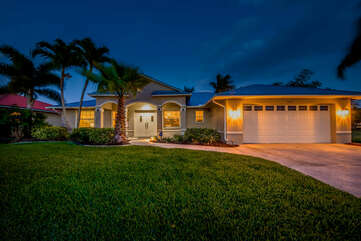 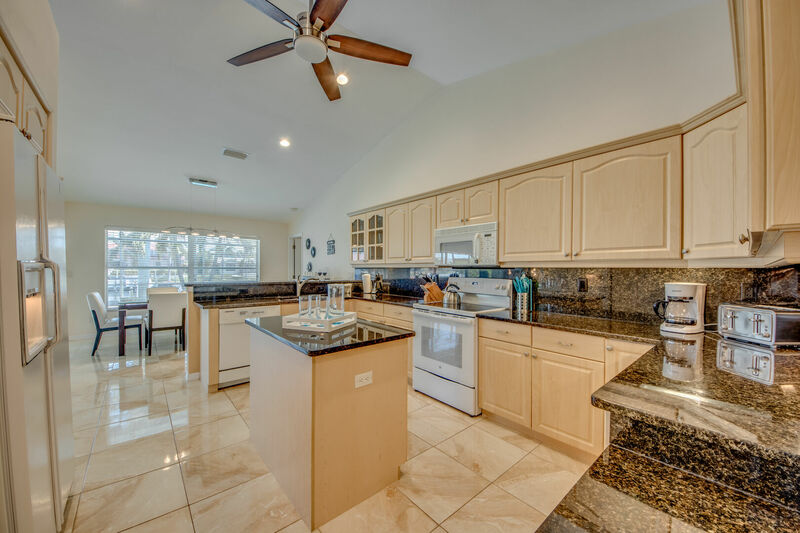 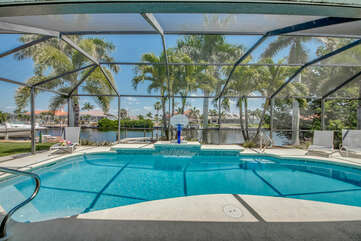 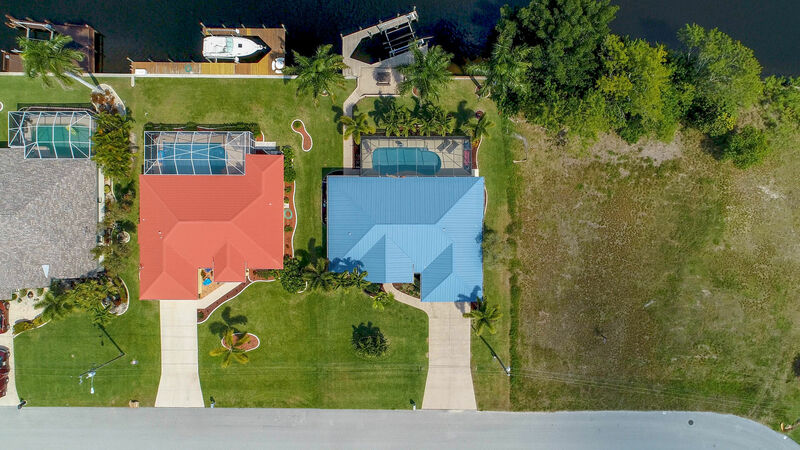 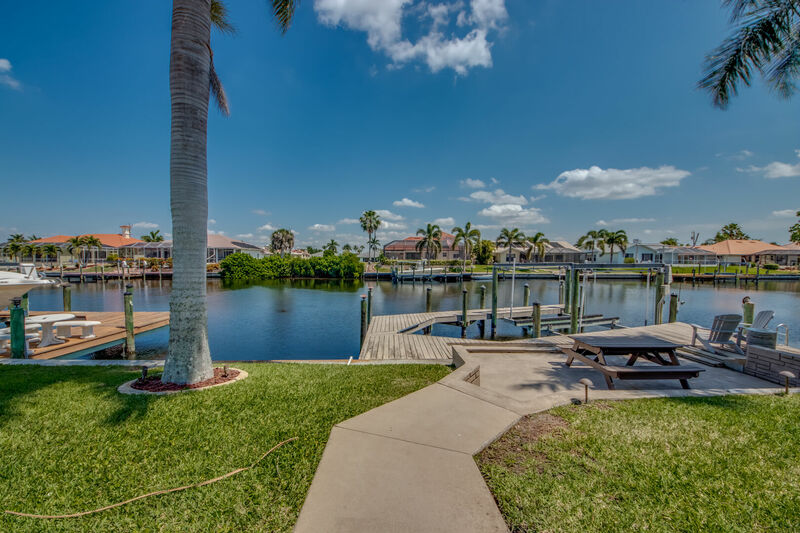 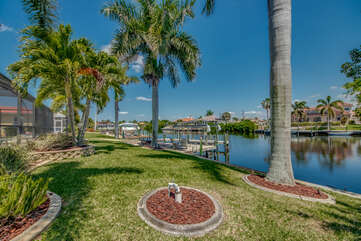 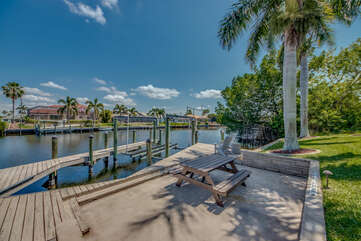 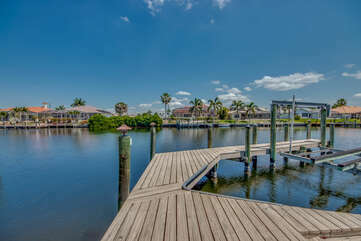 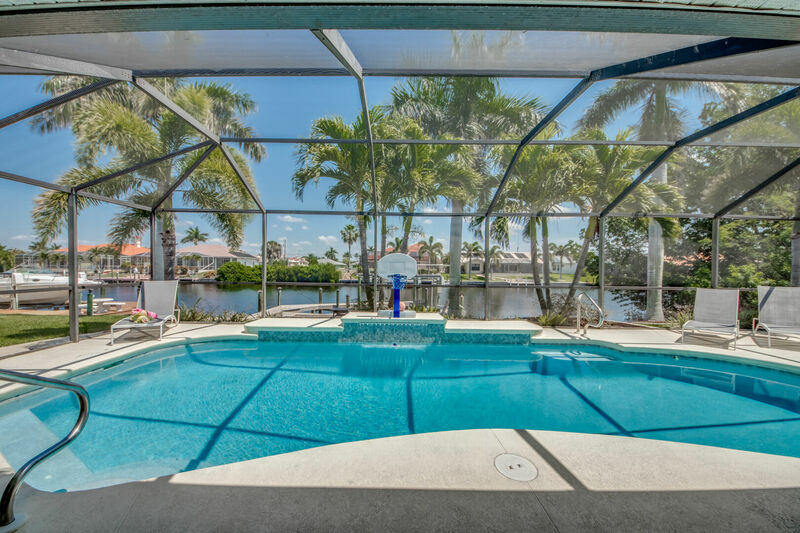 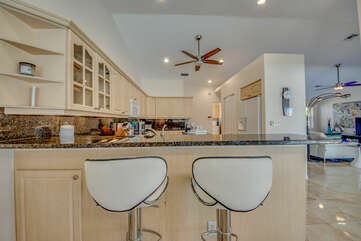 This Villa is located in a prime SW cape coral neighborhood. 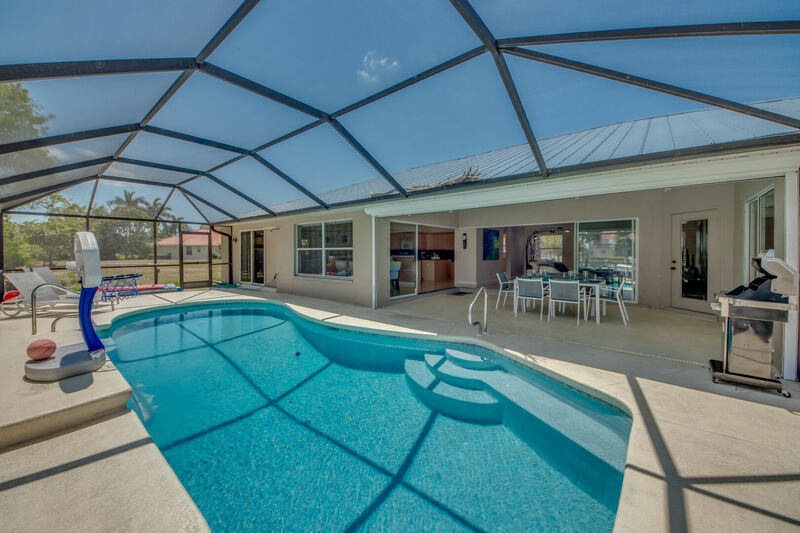 Close to a ton of recreational and entertainment venues that your group might seek to enjoy and indulge in during your stay in the Sunshine State. 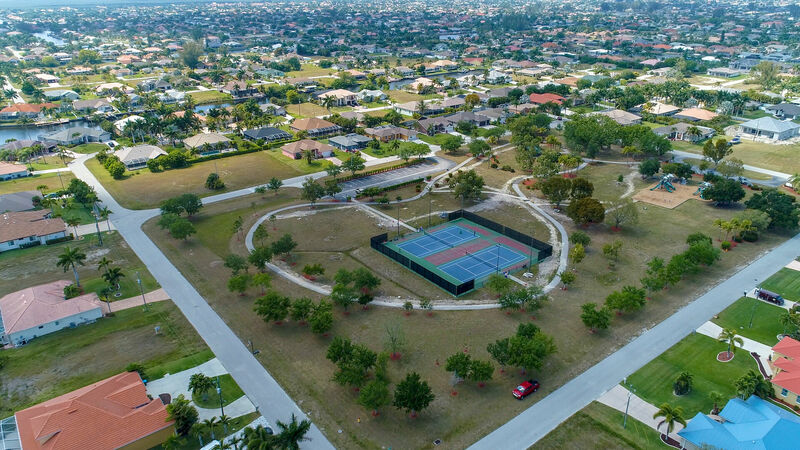 Camelot Park complete with tennis courts, BBQ grills & awesome play area for the kids, is located across the street. 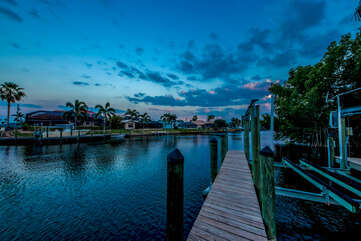 A short walking distance away is the always adored Cape Harbour. 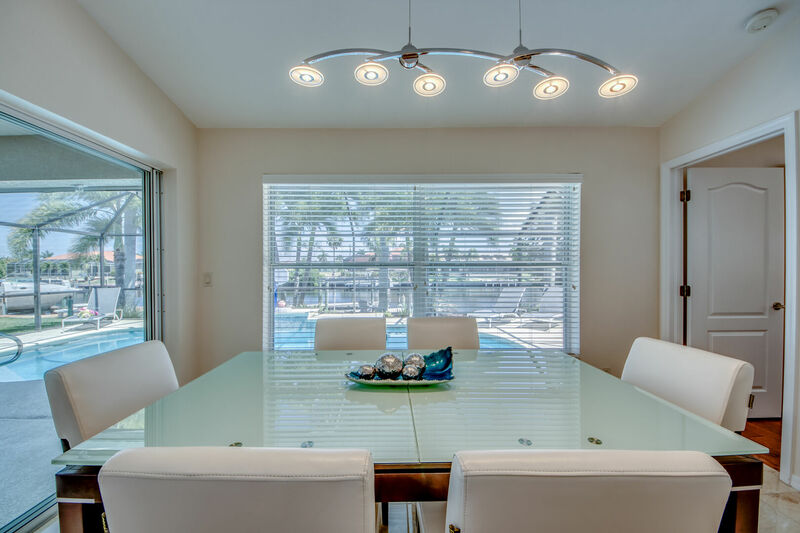 So, whether you want to wonder along a sandy hiking trail along the many local beaches, take a relaxing boating excursion, go on a sightseeing adventure or just enjoy a fine dining experience – Villa Camelot is the villa for you! 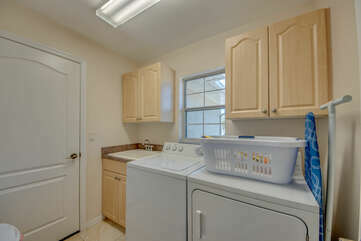 Please note: Electricity is charged separately for this home at the rate of $14 per day. 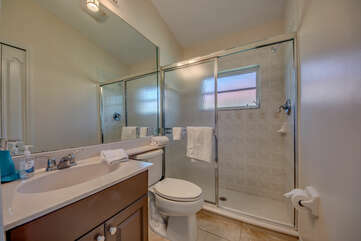 This fee is collected at the time of final payment and is considered prepaid utility use. 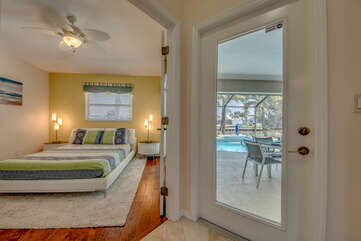 This prepayment has been included in your quote and is part of the total reservation cost. 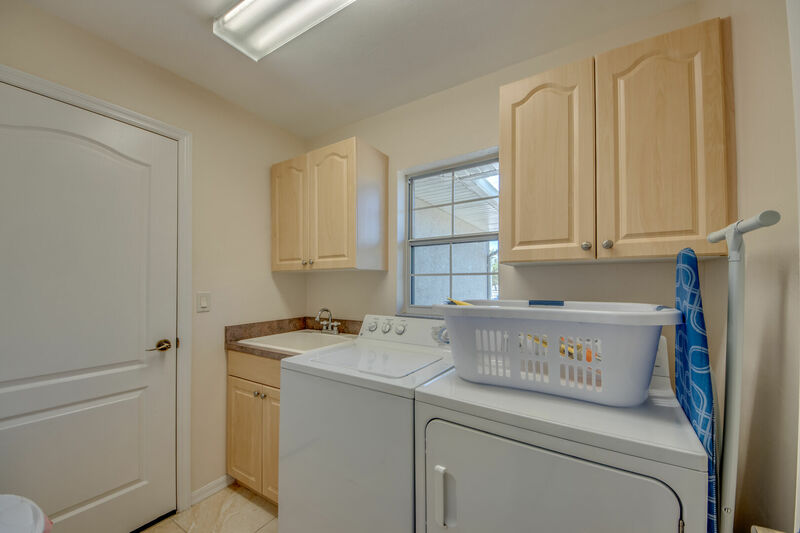 Post-departure paid utility use may be offered at booking and will be billed at .185 kW for actual daily usage plus 11.5% tax and will be charged to a credit card on file. 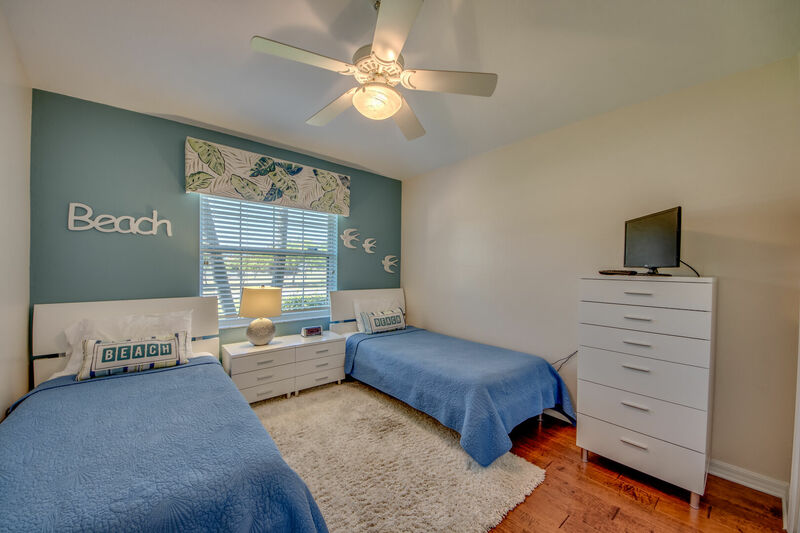 Pack & Plays (Portable Crib) and Highchairs are available with a small rental fee.